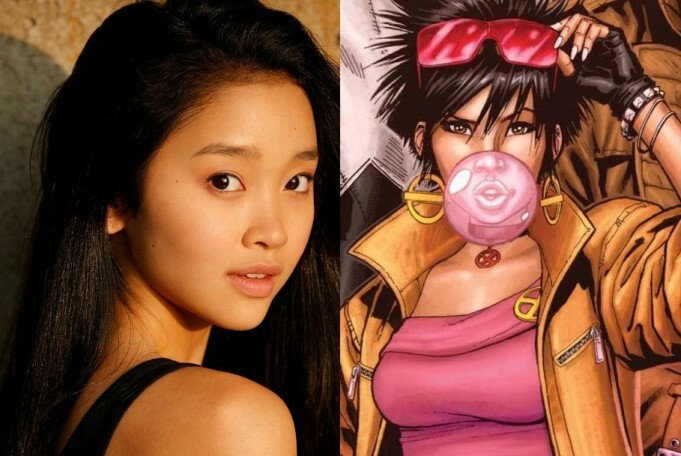 Director Bryan Singer used his Instagram (as usual) to announce that Lana Condor has been cast as Jubilee in X-Men: Apocalypse. Condor is the definition of a Hollywood newcomer, with no known TV or film credits. Jubilee has appeared in cameos in previous X-Men films. She was played by Katrina Florece in X-Men (2000) and Kea Wong in X2: X-Men United (2003) X-Men: The Last Stand (2006). Created by Chris Claremont and Marc Silvestri, Jubilee first appeared in 1989’s Uncanny X-Men #244, and was a mainstay in the 1990s animated series. I know that when she first popped up, her yellow trench coat, red clothes and bare legs were a riff on the Carrie Kelley version of Robin in Frank Miller‘s The Dark Knight Returns, but she inexplicably took over fandom, going from a literal joke to one of the most popular characters around. So can someone please explain the appeal of Jubilee? What am I missing? Condor joins the other actors playing new versions of familiar characters, including: Tye Sheridan (Cyclops), Alexandra Shipp (Storm) and Sophie Turner (Jean Grey). The movie starts shooting this summer for a May 27, 2016 release. This entry was posted in Actors/Actresses, Casting, Comic Book Movies, Film, Superheroes and tagged 20th Century Fox, Bryan Singer, Jubilee, Lana Condor, Marvel Comics, X-Men, X-Men: Apocalypse. Bookmark the permalink.